The 2018-19 Tonight at the Wright series will feature a variety of events starting with a free concert by Bobby Horton sharing the sounds and stories from the Civil War era on Sept. 13 at 7 p.m. Fans of comedian Tim Hawkins will have the opportunity to see him back at the Wright Center with Dustin Nickerson on Sept. 28. Hawkins delights sold-out audiences with his unique brand of humor. The J. Roderick Davis Lecture will bring Rosalind Picard to Samford on Oct. 4. She is the influential founder and director of the Affective Computing Research Group at the MIT Media Lab. The Heart Behind the Music has spotlighted singers and songwriters since 2011. The program returns to the Wright Center stage Nov. 1 to showcase the music and talents of comedian and musician Heather Land, “The Voice” finalist Lauren Duski, country music star Mo Pitney and singer songwriter Lenny LeBlanc. Land has 2.5 million Facebook followers and has endeared fans with her reality infused wit. The Wright Center is home to numerous Alabama Symphony Orchestra events. The Red Diamond SuperPops! will celebrate the holidays on Dec. 7 and bring the Mambo Kings, a Latin jazz ensemble, to Samford on Jan. 26. Tickets for these events are available at alabamasymphony.org. The season will conclude with The Midtown Men underwritten by Merrill Lynch, Pierce, Fenner, and Smith Inc. 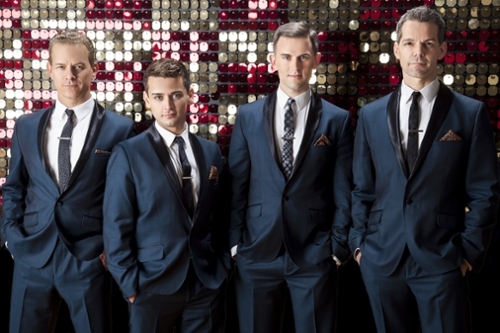 The Midtown Men reunites stars from the original cast of Broadway’s Jersey Boys making them the first vocal group ever formed by the principal cast of a high-profile Broadway show. It is sure to be a blockbuster event in the spring. The Heart Behind the Music tickets are currently available at tickets.samford.edu. Tickets for other shows will go on sale Aug. 1. Stay up to date with the latest Wright Center events on our website.